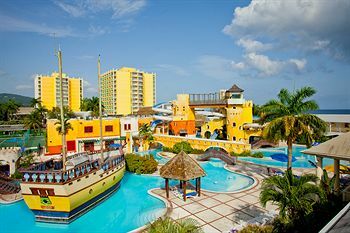 Sunset Beach Resort Jamaica is a casual, all-inclusive resort in Montego Bay, Jamaica that passes the grade with most guests. It is good value and has a good amount of all inclusive options. If you want to see more in the area, visit our Montego Bay All Inclusive Resorts and Jamaica All Inclusive Resorts pages. There is a lot to keep you, the children, and anyone else entertained. For the kids, there is a new Pirate's Paradise water park and a great kid's club. Location: 15 minutes from the airport in Montego Bay. 4 km west of central Montego Bay. Some like the beach location while others are put off by a semi-residential area. There is a white-sand peninsula and a mall a few miles away. Perhaps the best of both worlds depending on how you look at it. On 22-acres there is a selection of well received restaurants including an open-air, swim-up bars, beach bars, discos and seaside grills. The pool view spa does hydrotherapy, massages, beauty services, saunas and steam rooms, yoga and Pilates. We have had little feedback on these so please drop us a comment if you have any news. Rooms: The 430 guestrooms and suites may require some updates but are close to the beach. Some say they need a little renovation but the feature tile floors, tropical fabrics, rattan furniture and open patios, generally are accepted by most guests. All-inclusive can mean unlimited food and drinks at restaurants, and snack grill, unlimited alcoholic and non-alcoholic beverages, taxes and gratuities. Reports indicate that the drinks are not watered down and you can expect a decent meal. Non-motorized water activities go over a treat. These include snorkeling, sunfish, sailing, kayaking, paddle boats and use of pools, spa tub and water park. Land activities and equipment, include tennis, miniature golf, shuffleboard, beach volleyball, giant chess and checkers, use of fitness center and aerobics studio, various exercise classes including yoga, Pilates, aerobics and Reggae lessons. A Kids Clubhouse is open to children 2-12 years of age with a full schedule of daily activities, including sandcastle building, tennis clinics, painting, tie dying, treasure hunts, beach games, dance classes, use of water park and video arcade. If you're looking for something to do, you can get married, play water games, crab racing, do treasure hunts, watch nightly live entertainment and cultural shows and heaps of other things to do. For the romantics having a wedding here, there are lots of Sunset options. You can get married here island style. You can also enjoy a beachfront giant hot tub, a stroll through the tropical gardens, the full spa or partake in one of the many land and water sports. 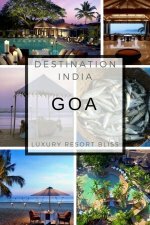 For more pictures, reviews and cost, click: Sunset Beach Resort and Spa All Inclusive to get it all. 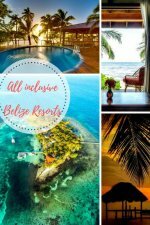 To see more great resorts in this area, check out more All inclusive resorts in Montego Bay and Jamaica all inclusive pages for more information on those.